Austria is a landlocked country of approximately 8.7 million inhabitants in Central Europe. It is bordered by the Czech Republic and Germany to the north, Slovakia and Hungary to the east, Slovenia and Italy to the south, and Switzerland and Liechtenstein to the west. The territory of Austria covers 83,878 square kilometres (32,385 sq mi) and has a temperate and alpine climate. Austria's terrain is highly mountainous due to the presence of the Alps; only 32% of the country is below 500 metres (1,640 ft), and its highest point the Grossglockner is 3,798 meters (12,460 ft). The majority of the population speaks German, which is also the country's official language. Other local official languages are Croatian, Hungarian and Slovene. Austrian citizens and students who have EU/EEA nationality pay no regular tuition fees for the prescribed duration of study plus 2 semesters. These students must however pay membership fees to the student union which is obligatory and € 363.36 each semester after the two semester’s tolerance period. For all other students (after possession of the resident permit), must pay € 726.72 per semester. An exemption from paying tuition fees is possible in special cases (e.g. for participants in exchange programs, university partnerships, exchange programs or students from less developed countries). Students from other developing countries,Central and Eastern European reform countries can be exempted or apply for a full or partial refund of tuition fees according to the chosen university's own rules. Further information is available at OEAD.com. Universities of Applied Sciences are entitled to charge tuition fees of € 363 per year. In the case of University Training Courses, University Level Courses, Universitätslehrgänge, Private Universities & University Colleges of Teacher Education the tuition fees differ from one institution to the other and should be inquired at the prospective institution. In some cases, students have to pay an obligatory fee to the student union. Some programs incur an additional application fee which is a onetime payment for the application to be processed further. If the payment is not completed on time, the application of the student is canceled. The process of acquiring permanent residence in Austria differs depending on your present citizenship. EEA citizens and Swiss citizens form one group while third-country citizens form the second group. The process is different for each group, which we will show in a bit more detail. Note: While command of the German language is not a necessary condition in order to apply for all types of residence permits, a sizeable amount of the information resources is only available in German. You will also be required to provide authorized translations for official documents in other languages, so getting a German speaking friend to help you in the process is a great idea. 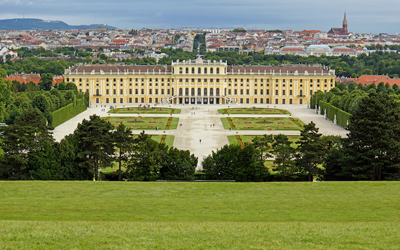 Attend an Austrian school or recognized education facility as a main purpose of their stay and earn a secure living and have a sufficient health insurance coverage. Proof of admission to a school or educational institution as well as proof of sufficient health insurance coverage and a statement or other proof declaring adequate means of subsistence. Third-country nationals are people who are neither EEA citizens nor Swiss citizens and who intend to stay in Austria for more than six months. In this case, they require a residence permit, unless they possess a right of residence according to Union law. Residence permits are granted for a specific purpose and might be dependent on employment from a specific employer or meeting particular requirements and quotas. There is a variety of different types of residence permits, depending on the level of qualification of the applicant. You can find additional information regarding the possible types of residence permits on help.gv.at. If you are a third-country national, in most cases the best option to get you on track to permanent residence in Austria is applying for a Red-White-Red Card. The Red-White-Red Card facilitates the immigration of qualified third-country workers and their families, with a prospect of permanent settlement, based on personal and labor-market criteria. Cards are issued for a period of twelve months and entitle the holder to fixed-term settlement and employment by a specified employer. To apply to study in Austria, you have to send the application and necessary documents to either the university, the university of applied sciences Fachhochschule / UAS) or the UAS degree program. Applications submitted to the Austrian representative authorities will be forwarded to the educational institution. Applications must arrive at the university on time. Bear in mind that forwarding may take some time and submission of the application at the representative institution must be done at the earliest. Some universities offer online applications and will then send specific further information to you via e-mail. 1. Application for admission- University application form (can be downloaded from the university's homepage or will be sent by them). The candidate must mention the program he/she wishes to study and relevant personal information. 2. Proof of nationality along with a copy of official ID along with photo or valid travel document (if required). 4. For many programs proof of proficiency in German: is necessary and should also be included in the application documents, if available (e.g. German examination with the school leaving examination, language course diplomas).